If you need an electrician, you’ve come to the right place! Staywired Electrical has everything you need in a master electrician, whether it be for your home, office, business, or an area outdoors. You never have to worry again when you choose us to make that repair in the middle of the night. We have someone on standby fully prepared for your call. And don’t be concerned if it’s a public holiday either, because we can come to you on any day of the year. We regularly review our pricing and provide offers to our customers so that everyone can benefit when booking with us. We provide discounts, but not at the expense of quality! When you contact us, we will give you a no-obligation, free quote on the job. Living is expensive and, as you get older, it it not always easier. At StayWired, we respect and honour our elders, just like we do in our families. Apart from our outstanding customer service, we show our senior customers that we care by offering a special discount for each booking. 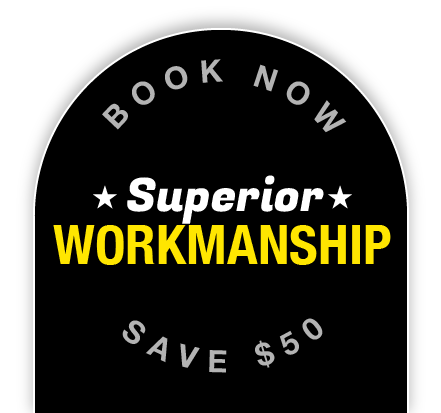 A quick response, An appointment booked at the best time for you, Your electrician to arrive on time, A friendly, helpful and skilled electrician, The job to be performed with minimal inconvenience to yourself, An area cleaned up for you upon job completion, An invoice that matches the quote. Whatever the situation, you can be sure that Stay Wired Electrical will provide an excellent residential electrician to help you out. If you’re after the services of the best commercial electricians in Sydney, then Stay Wired is the perfect choice. There’s no need to worry though, because Stay Wired Electrical is the number one choice for a 24 hour emergency electrician in Sydney! Smoke alarms are hugely important, yet many of us will have been guilty of neglecting them, and not doing all we can to ensure our safety. Your own safety, and especially that of your family, is especially important and should be prioritised above all else. Whether you’re looking for a new lighting solution or a bit of help installing, Stay Wired is ready and willing to help with any job. Staywired Electrical provide a qualified Sydney Electrician team to customers across the Sydney metropolitan area from Western Sydney to the Inner West, North Shore, Eastern Suburbs and the Sutherland Shire. Electrical work is not something to be taken lightly and certainly not something to be tackled by those without the requisite qualifications. At Staywired Electrical, we insist that all our tradesmen have completed the relevant traineeships and are fully qualified, as well as being comprehensively insured for your added peace of mind. We use only the finest electrical equipment and have built up exceptional local Sydney knowledge over the past decade, with our Sydney Electrician team regularly working everywhere from Penrith in the west, to Mosman in the North, Bondi in the East and Campbelltown in the south. At Staywired Electrical, we are proud of having acquired a reputation for the highest quality workmanship, reliability and competitive pricing, all underpinned by outstanding customer service. Our Sydney Electrician team are second to none for all electrical work. Finding a local Sydney Electrician you can trust shouldn’t be a difficult or time consuming task. But as we all know, it so often is. Luckily, Staywired Electrical have a qualified Sydney electrician team operating in all major Sydney suburbs, so finding an electrician has never been easier. There are many reasons why you might require a Staywired Sydney electrician to come to your home. Maybe you’re settling down in front of your big screen Panasonic TV after a hard day at work, all ready to watch your favourite show, when suddenly the screen goes blank and all the lights go out? Or maybe you’ve got a few of your closest friends coming over for a dinner party, and the oven no longer works, leaving the turkey underdone? Not to worry though. A quick phone call to our 24-hour Sydney electrician helpline, and one of our friendly local Sydney Electrician team will be around in no time at all to carry out the necessary diagnostics and repairs, and get you back up and running as fast as humanly possible! 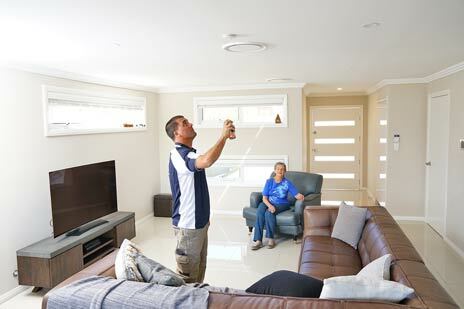 Our residential Sydney electrician team are proficient at working on all types of residential properties, from the grandest waterside mansion in Kirribilli, to the smallest suburban bungalow in Paddington, or inner city apartment in the Sydney CBD; and we always ensure that our attention to detail and dedication remain the same, regardless of the size of the electrical job at hand. For us it is vitally important that every customer is treated like a member of the family, as we believe this is the only way to run a successful business. This goes a long way to explaining why our customers come back to us again and again, and proactively recommend our service to others friends who are in need of a local Sydney electrician. If you’re knee-deep in home renovation, you’re going to need a qualified Sydney electrician on hand to help make sure the wiring and electrics are up to scratch. Or perhaps you are undertaking something on a smaller scale, like putting in a new dream kitchen? If so, have you thought about who will wire up your appliances and install those chic new halogen spotlights you’ve been admiring? And do you even know if your existing electrical supply will be adequate to run that huge new top of the line stove and refrigerator you have on order? To answer these questions and more, simply call Staywired Electrical Sydney to discuss your requirements and obtain no-obligation quotation. When you move into a new home there is always something you’d like to change. Maybe you need an extra power point in the lounge room or a shaver socket in the bathroom? Or perhaps the existing fittings look tired and old-fashioned, and don’t go with your interior design? If so, why not let our Sydney Electrician team introduce you to a range of contemporary alternatives to suit your budget and get your new home set up exactly as you want it. Plus with new renovation and refurbishments, we will work to your budget and use our many years’ of electrical experience to walk you through the various options available to you. Advice that can save you many hundreds of dollars in the long run. There’s nothing worse than having your lights and power go down. One minute everything is working, and the next you find yourself without air-conditioning, heating, TV and lights. When you realise that your fridge is defrosting and you can’t so much as heat up some leftovers for the kids in the microwave, it’s time to call the #1 Emergency Sydney Electrician. At Staywired Electrical, our Sydney Electrician team are available 24 hours a day 7 days a week. And we’re just around the corner from you. Electrical Quotes – How Much Does it Cost? At Staywired Electrical we understand that in today’s challenging economic climate, everyone is cost-conscious and looking to keep their overheads as low as possible. That’s why we will always endeavour to provide accurate quotations to save you money on the electrical work you require.